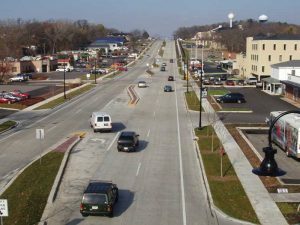 We routinely complete right-of-way plats for various federal, state, and municipal projects. Plats are in conformance with the appropriate facilities development manuals and plat guides. Subdivision plats for developers and municipalities are completed according to applicable subdivision standards. Complexity of these platting services vary by project. Typical services can include title reviews, right-of-way plat development, and generation of legal descriptions and necessary acquisition documents. We are also experts at access control plats for controlling development and highway access. Responsibilities on these projects may include driveway inventory, GIS mapping, access control plat preparation, recommendation of driveway dispensation, coordination with local officials, public involvement, public hearings, and coordination with property owners. Contact us for more information about our Right-of-Way Services.